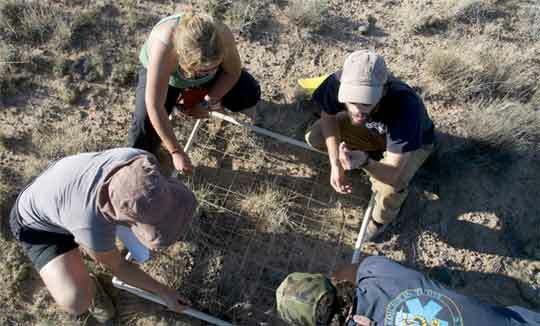 Semester in the West students measure vegetation on the Caja del Rio mesa with UNM Ecology professor Paul Arbetan. Photo credit: Ben Hayes ’11. Twenty-one Whitman students are on the road with Phil Brick, Miles C. Moore Professor of Politics, exploring the ecological, social and political issues confronting the American West. The biennial Semester in the West field-study program is in its fourth tour. Follow the Westies’ journey at www.semesterinthewest.org.